Senator Rand Paul called for a national security review of the $US19 billion Broadcom-CA merger during a Wednesday Senate homeland security meeting, but it’s unclear if he based this request on the allegedly fraudulent memo. Broadcom says there is “no basis in fact or law” for a Committee on Foreign Investment review on the merger, as both companies are based in the United States. Broadcom is claiming that a memo circulating in the Senate calling for a Committee on Foreign Investment review of the $US19 billion Broadcom-CA merger is “fraudulent,” adding that there is “no basis on fact or law” for a COFI review. During a Wednesday Senate hearing on homeland security, Republican senator Rand Paul requested a national security review of the pending $US19 billion Broadcom-CA merger. It’s currently unclear if Paul based this request on the allegedly fraudulent document. Broadcom was already blocked from acquiring Qualcomm by President Trump in March over national security concerns, including Broadcom’s relationship with Chinese manufacturers. Now, Paul is citing concerns that 60% of electric companies in the country are serviced by companies using systems from CA. 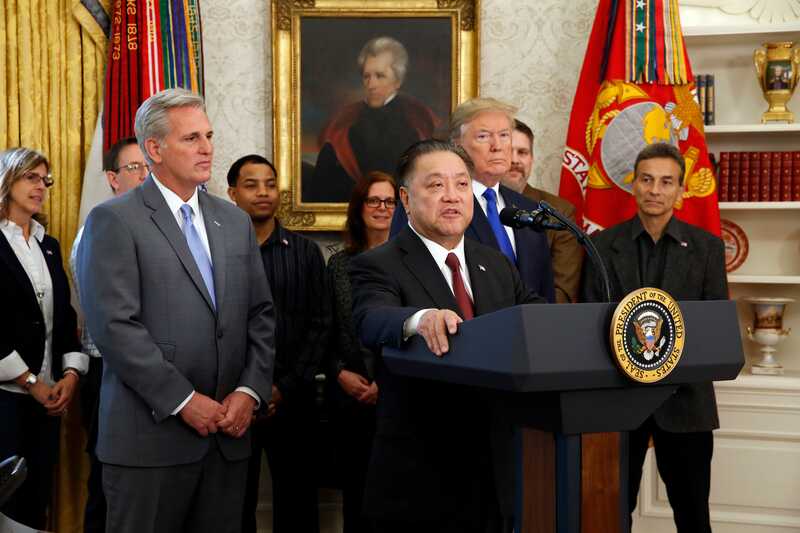 Although Broadcom has moved from Singapore to the United States, Paul said the Committee on Foreign Investment in the United States should look into the acquisition. “Earlier this year CFIUS intervened to block Broadcom from acquiring Qualcomm on national security concerns. Now Broadcom is about to complete acquisitions of Computer Associates Technologies, also known as CA Technologies, whose network systems are deeply embedded in many of our critical infrastructure facilities and national security agencies. For example, 60% of us electric companies are serviced by companies using CA systems. Similarly their systems are used in 29 nuclear reactors.